For the past three weeks Little M and I have been attending some complimentary Bop Tots baby classes just outside Norwich. 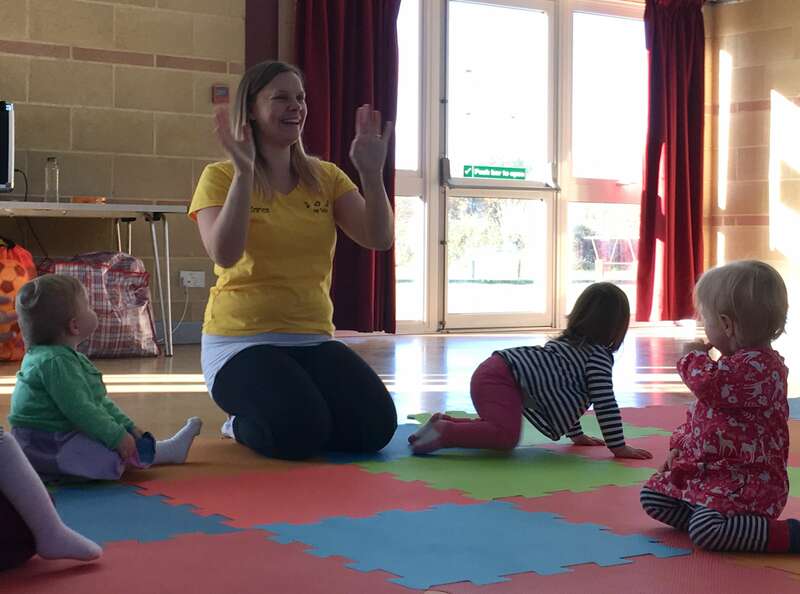 They’re music and movement classes run by Karen, who is so lovely and creates a great rapport with the children as soon as they enter the room. M loves her, which is evidenced by the fact that she’ll willingly tidy up and put away even her favourite toys, props and musical instruments! 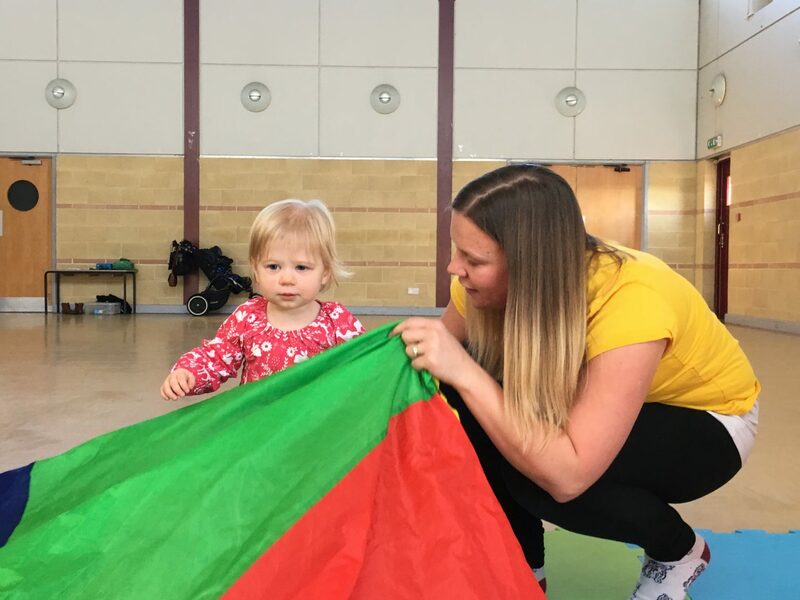 The classes involve lots of singing and movement, and lots of different props such as bells, scarves and a parachute to stimulate and entertain the children. M thinks that the parachute is the best thing since sliced bread, and loves crawling under it! 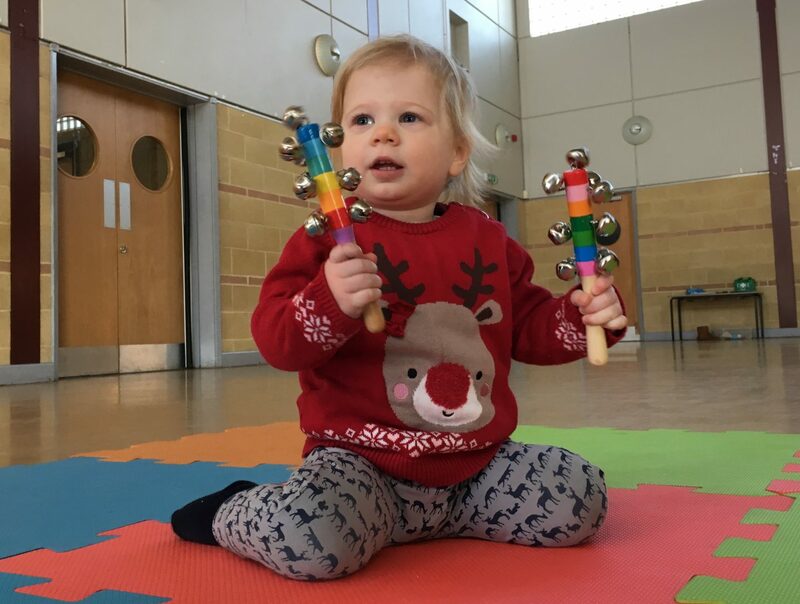 It’s testament to Karen’s nature that M is so keen to get stuck in a Bop Tots – usually she’d be scared and clinging to me – she usually takes a while to warm up to new toys or classes (and sometimes even library books! ), but at Bop Tots she is relaxed, happy and engaged. Without a doubt, M’s favourite part of the class is the bubble song. Karen plays a tune called Bubble Pop by Nay Nay (yes, we have had to listen to it on YouTube on repeat for the past week!) and blows bubbles for the children. M loves it. I mean really loves it. In a tongue out, arms outstretched kind of way. My favourite thing about the class is that Karen plays a mixture of nursery rhymes and pop songs, so there’s something to entertain the grown ups, too. The pace is fast, so there’s no time to get bored. The half an hour of singing and dancing passes in a flash, and it’s time for snack time. Karen provides snacks for the children and they are free to enjoy the toys in a free play setting, while munching on a healthy snack. The classes are £4.50 each, pay as you go, or £4 each when booked in advance as part of a half termly block. This is comparable to other classes in the area, if not a little cheaper, and well worth the money, in my opinion. In fact, despite the fact that we’ve received these three classes for free, I’ve signed up for Little M to attend next half term, and am very happy to pay for them myself. Karen offers classes in both Hingham and Wymondham is now accepting bookings for next term. You can book quickly and easily on her website, boptots.co.uk. Disclosure: I was offered three free Bop Tots classes for Little M. However, all opinions are my own, honest views. "10 Tips for Introducing Your Dog to Your Newborn"